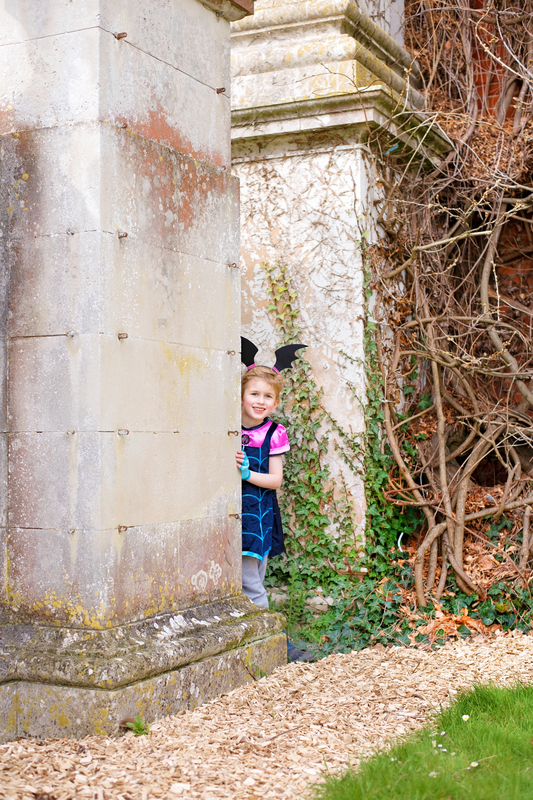 “Whoa oh-oh, Vampirina… I may be blue with pointy teeth…” This half term we escaped the house to have a run about at IBM and see Gav’s new staff room [read: reason for never coming home] and try out our new Disney Junior Vampirina costume. I wasn’t sure it was going to go well at first because although they love watching Vampirina on TV, wearing her dress in public wasn’t something I thought they’d be up for. Sadly they’ve learned very early on that even if they don’t see gender in toys and clothes, there are plenty of grown-ups and their children who do and aren’t afraid to share their opinions on it with them. I knew they’d be super excited to be hopping about the house in it though. How wrong I was. Initially, I tried to bribe Hero into wearing it for a photo and he said he’d do it for some Easter chocolate. Then it became THE costume to be wearing, and Jensen took over, volunteering for me. Soon, war broke out over who deserved to wear it most and who had worn it the longest, and the costume was on and off again more times than I could count as they hunted for the perfect spot for vampire photos. 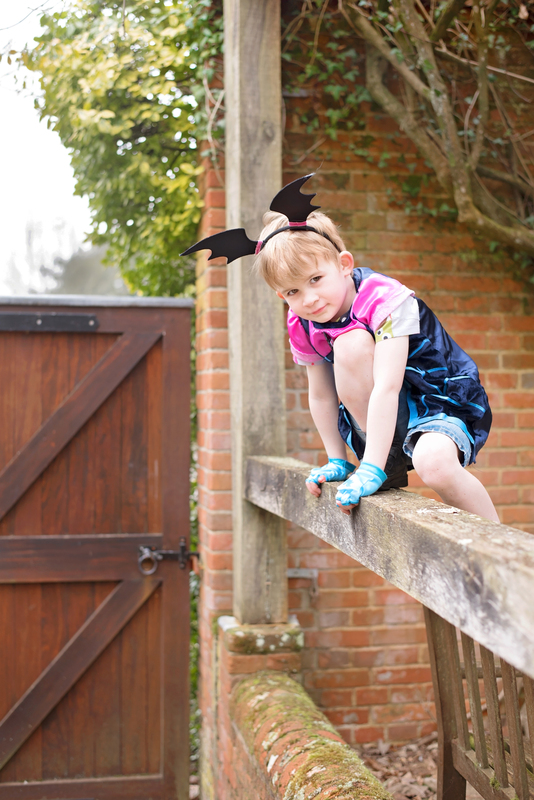 The Disney Junior Vampirina Costume set is made up of a pair of batwing headbands with pink bat hair accessories. These fit everyone and were very comfortable, unlike most headbands we’ve had in sets. 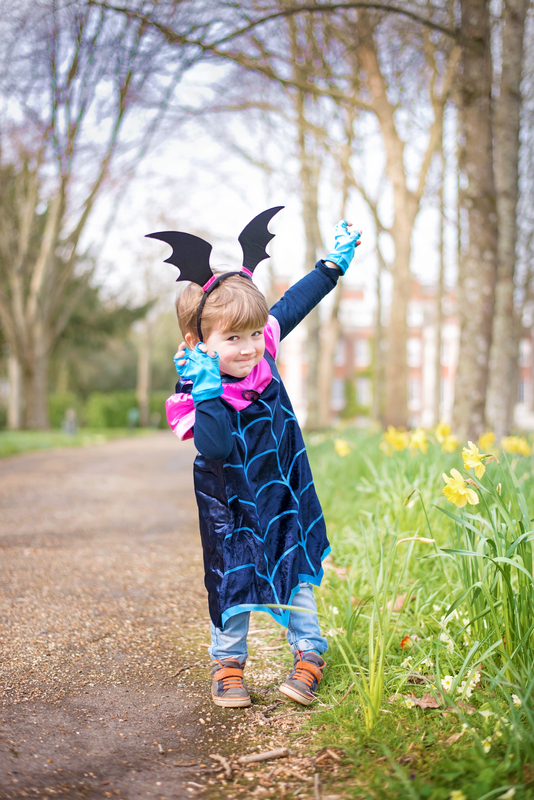 There are blue fingerless Vampirina gloves which were a little tricky to get the fingers into, but most coveted by everyone, and a Vampirina dress with a little trinket featuring Vampirina on the front of it. This fitted everyone from 3 to 8 – wide enough to fit everyone’s shoulders! The bright colours, the soft material and the headband that doesn’t hurt! That the closures on the costume are velcro, which means that they can get them on and off and I never have to fix a zip that’s broken. The material didn’t snag as easily – we had a run in the gloves before they were out of the packet as they caught on one of the tags in the box. That there were fangs in the set! That would be awesome. Would we buy it? Yes! This is the most fought over costume in our house at the moment. They love costumes that they can completely immerse themselves in. It’s simple, bright and beautiful and fun to wear. We can never get enough of Disney Junior costumes! We were sent the Disney Junior Vampirina Costume to review, free of charge. I’ve no idea why they decided it was war over this one – I think it was the fresh air – but they do love dressing up! What a stunning costume. I like the design and I am sure my kids would love it too. I never understand what hooks them into a programme – but my boys have a real thing about vampires, so I’m guessing that’s it! Cutest vampires I have ever seen!! Beautiful photos and a very cute dressing up set. 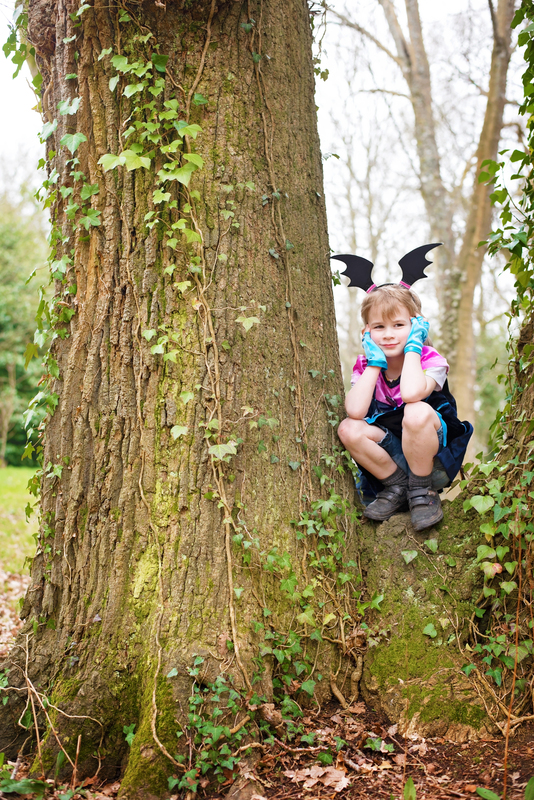 This is a lovely vampirina costume! I love he colours and the design. It’s just so pretty. Ooh how fab! We haven’t seen Vampira yet, I think we are missing out! Love your photos as always! Alessia and Nila love vampirina. They would go nuts over this dress up outfit!